Welcome back to yet another session of Papertrey Ink’s Stamp-a-Faire 2016. This session’s theme was Pointillism Play, with an interesting video on Georges Seurat’s works, which you can see HERE. At first, I was going to cut out my flower, but I really wasn’t happy with how it turned out. Then I decided to continue dotting around it until I came up with soft background that I was happy with, but it still lacked something. Then I added some texture with twine string and I like the result. 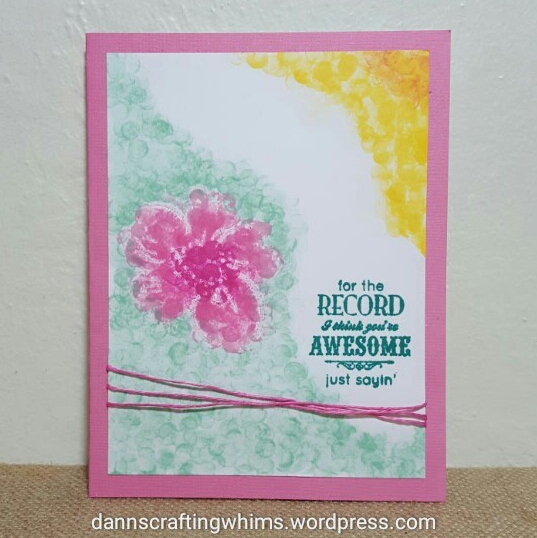 Recollections white cardstock and shimmer card. Hopefully, I’ll be back again real soon. 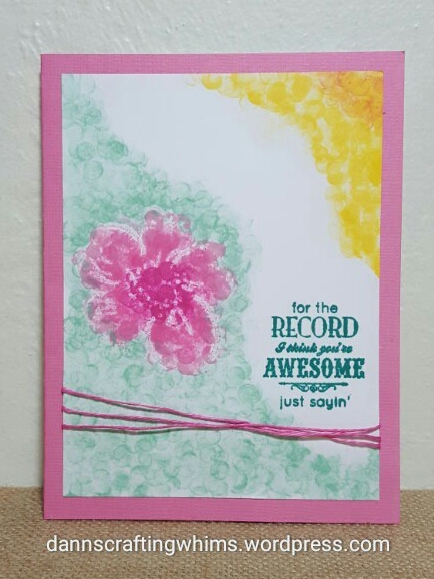 This entry was posted in Any Occasion Cards, Cards, Friendship Cards, Papercraft, Sympathy/Support cards, Thank You Cards and tagged #thedailymarker30day, handmade cards, Papercraft, Papertrey Ink Floral Sketches, Papertrey Ink We Go Together, papertreyink, Pointillism, sssmchallenge, stampafaire2016, Tombow adhesive by dannscraftingwhims. Bookmark the permalink.